Overdraft Protection: Opting out but Still Paying Fees? Imagine a scenario in which you’ve opted out of overdraft protection, telling your bank to simply decline transactions when your account runs out of money. You take care to pay all of your bills after verifying that you have enough funds in your account, but mistakes happen, and you've bounced a check or overused your debit card. Somehow, even though you've declined overdraft protection, your bank just made the payment for you and charged you a $35 fee anyway. It turns out that you have some company if you're still paying a penalty for the occasional overdraft. As of January 2017, the Consumer Financial Protection Bureau (CFPB ) estimated that Americans pay overdraft fees to the tune of $17 billion annually. The CFPB also reported that the median (or midpoint) overdraft fee is around $34 for the nation's 50 largest commercial banks and $31 for a cross-section of credit unions and smaller banks. 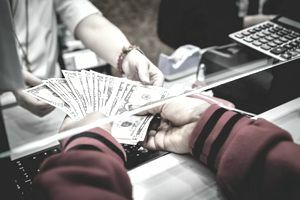 In 2010, the Board of Governors of the Federal Reserve System adopted a rule requiring banking institutions to get your permission to provide overdraft protection on your account. Before that, you had it whether you wanted it or not. Now, instead of opting out, you need to opt-in for your bank to lend you the money to cover overdrafts if you come up short on funds. The idea behind the 2010 rule was to prevent the “$39 latte,” which could happen if your bank charged a $35 overdraft fee on a small debit card purchase even if you were only a few cents short. Most people, understandably, would prefer to find a different way to pay, or just do without the coffee. The ability to opt out of overdraft protection only applies to one-time transactions with your debit card. When you make a purchase at a retailer or when you withdraw cash from an ATM, your bank will usually prevent the transaction if you’re out of money, and you won’t owe any fees. But other types of transactions can cause problems. In some cases, the transaction will be processed even if you opted out of overdraft protection and don’t have the funds available. When that happens, you’ll pay a fee that’s the same as an overdraft charge, and you’ll need to come up with the money to bring your account balance back above zero. In other cases, your bank will reject the transaction, but you’ll be charged a fee for insufficient funds. Recurring Payments: When you sign up for automatic electronic payments, your bank might process those payments even if you don’t have enough money available. For example, you might have a monthly membership fee billed to your debit card, or you might pay insurance premiums every month directly from your checking account via ACH. Payments by Check: Paper checks are still surprisingly common, and you can make payments by check even if you don’t write the check yourself. Your bank’s online bill payment system sometimes prints and mails checks for you. Whether you do it the old-fashioned way or let your bank handle it, you run the risk of bouncing a check. Any one-off checks that aren’t regular monthly payments can be processed by your bank, resulting in a negative account balance and hefty fees. Find out how your bank handles these situations. Each bank is different, and some simply reject monthly payments when you run out of money, while others let them go through. Contact your bank and ask what specific policies are in place for your account. Monitor your accounts so that you always know how much money is available. Use a spreadsheet program or pen and paper to keep track of your balance following each deposit or withdrawal. If your balance is on the low side, make sure no more payments hit the account until you can add money or transfer money over from another account. If you regularly balance your account, you’ll ​​know how much money is coming in and going out even before your bank does, and you'll quickly be able to spot any mistakes made by your bank. Sign up for alerts that tell you when you’re low on money or when checks start bouncing. A quick text message or email can help you stop the bleeding before it gets too serious. If you can’t beat 'em, join 'em. Overdraft fees and insufficient funds charges are expensive, which makes it that much harder to cover your expenses next month. You need to spend within your means, but you also need to minimize bank fees. Especially if you have money in savings but often forget to transfer it over, see if your bank offers a less-expensive form of overdraft protection. You might be able to have the funds drafted from savings for about $10, or you might pay even less with an overdraft line of credit. If you slip up and spend beyond your account balance, it never hurts to ask your bank to waive an overdraft fee. A polite email message or phone call can work wonders to wipe the slate of an overdraft fee, but don't lose your temper and start berating the bank if you're initially denied. Instead stay calm and consider making an in-person visit to plead your case. Dress neatly, keep your facial expression and tone of voice pleasant, and talk to the teller or customer service rep about waiving your fee. Even if the overdraft was 100 percent your fault, you may be able to get the fee waived by being civil and maintaining direct eye contact. How Does an Overdraft Line of Credit Work?